It’s the new year and it’s kind of inevitable to find a whole host of new year’s resolutions posts scattered across blogs in January. I’m not really a fan of setting resolutions, I mean, why should we only commit to making changes in January? Life’s for living and our mindset changes throughout the year. If we choose to set ourselves goals, I see no reason to wait until January to do so. Any time of the year works for me, but I guess it’s the start of the year, and it’s always a good time to sit and reflect on what you’ve achieved and what you’re still hoping to complete. I for one am definitely feeling all ‘festived-out’ in terms of alcohol and food consumption, so, OK, yes, it’s as good a time as any to reflect and perhaps reassess what my cycling and fitness hopes are for the next twelve months. Back in February 2014, when I first started this blog (my goodness I can’t believe Ordinary Cycling Girl has had its own little space on the internet for nearly two years now), I wrote this post about my cycling hopes and aims for 2014. I’d kind of forgotten about it until someone asked me how I’d got on with them, so I thought a good place to start would be to take a look and see just how I did get on with my last list of hopes, aims and personal cycling challenges. I had a lot of fun doing this one (I can say that on reflection) and together with some fellow Nottingham bloggers and all round lovely women we raised a really decent amount of money for Sport Relief. Not the fastest 50km ever. It was certainly a challenge! Yeah, I was one of those women who, if I ever got a puncture, would rely solely on one of two things; either the person I was riding with knowing how to fix a puncture or calling my husband to come and do the job for me! Well, after completing the challenge above, I can now say I well and truly know how to fix a puncture! #3. Get more women involved in cycling – what’s not to love about life on two wheels? This is probably the one I’m most proud of! Before my recent house move six months ago I set up a women’s cycling club in what was my local area. It started small, with a facebook group and a few fellow mums; then it grew into a fully affiliated British Cycling club! It has now merged with a new men’s cycling club that started locally. And it’s still growing, which is wonderful! Whilst I’m living a little too far away to be a part of it now, I am so thrilled that so many Nottinghamshire women in that area have climbed back on their bikes and are now loving cycling so much. I was part of that! Yay! Go me! #4. Encourage my daughter to be brave enough to ride her bike – she’s 6 and so scared of falling off. OK, so actually perhaps this is the one I’m most proud of! Through this little blog, I was invited to the Milk Race in Nottingham and was lucky enough to meet and interview Laura Trott and Katie Archibald for a piece I was writing for Women’s Cycling magazine. My family joined me to watch the race; my daughter climbed in the car on the way home and declared “tomorrow, mummy, I am going to learn to ride my bike!” And she did! And then her three year old brother was inspired by her and bless him, he learned too! Both of them in the same weekend! A massive thank you to Laura Trott, Katie Archibald and Dani King and all the other women racing that day that inspired my six year old to get over her fear. I’ve not quite done this one yet. Not properly anyway so this one remains on the list! But, I promise it won’t be long til I can I put a line through this one! #6. Try a Breeze Ride – women together on two wheels, how scary can it be? This was fun. Beeze is a fantastic initiative which is doing so brilliantly well at encouraging more women back into cycling. You can read all about my Breeze experience here. Sadly this one remains on the list too. Health issues with my chest in the months leading up to this event prevented me from training for this one so I wasn’t able to go ahead. I can’t quite believe that this one hasn’t happened either. I’m not sure why; I think I lost my mojo for group riding somewhere along the way and decided it wasn’t for me. May 2016 will be the year I take the plunge. If completing a sportive is on your list of cycling challenges in 2016, you can sign up to complete one of the most famous UK ones of all: The Prudential Ride London 100. The Tour de France hitting the UK saw us attending the Grand Depart at Harewood House near Leeds, which was a wonderful experience. Yep, that was our first cycling festival! That’s a pretty good one to attend as your first, right! #10. 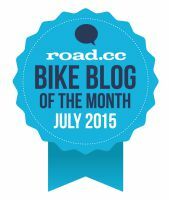 Read more cycling blogs – am I just not looking hard enough?! 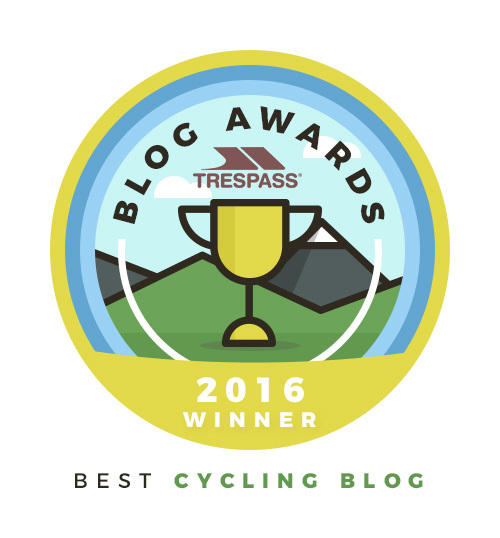 I’m not sure whether I just wasn’t looking hard enough or whether the cycling blog scene has just exploded over the last couple of years but I have found some really great cycling blogs, and many written by women; ones I feel I can relate to. And I’ve met some lovely cycling bloggers along the way too! 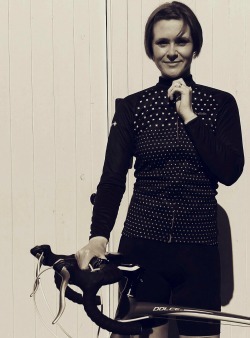 Spending a week with the lovely Juliet Elliot cycling in Catalunya last year introduced me to her and her fab blog. Her love for cycling and her talent for all forms of cycling is inspirational. Go and check out Bikes n Stuff if you haven’t already. Done. Ticked off at the Grand Depart for the Tour de France. This one’s a work in progress. We all have good days and bad days, but my confidence in my cycling ability has most certainly grown, and actually this post is one I will keep returning to, simply to remind me how lucky I am to live in a country where I have the freedom to ride my bke. So, looking back, between the challenges I set myself and my own personal achievements in terms of my cycling and this blog, I’m pretty bloody chuffed with where I’m at. OK, so I haven’t crossed everything off that initial list, but I haven’t done so bad. There’s room to grow on both fronts, but that’s exactly how it should be! I’m still deciding where I want 2016 to take me. I wonder just which roads it will lead me down? 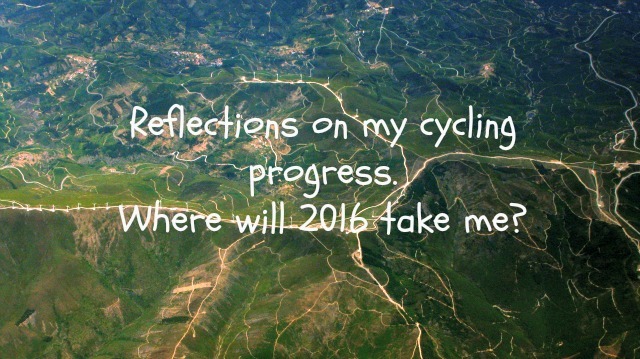 What are your cycling hopes and aims for the year ahead? 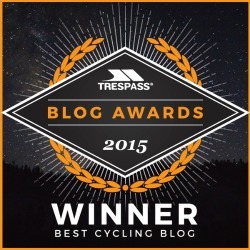 Share the post "Reflections on my cycling progress"
Congrats! Brave achievements in 2015! I would say, look for more of those amazing roads to ride around London rather than mountainbiking… haha 😀 Well, you have to try anyway too. And get into sportives, yeah! definitively. Hope you cross the rest of resolutions in 2016. They worth a try! Well done on what you achieved in 2015, Donna! Look forward to seeing how you get on in 2016. I agree that you can make resolutions throughout the year- no need to wait until January! I am currently off the bike recovering after an operation. I will see how I feel when I’m back on the bike, though it would be nice to get out and do a few UK cycle tours off road – along the Pennine Bridleway, Transpennine Way, or the South Downs Way. I also hope to do a couple of road races or a track cycling races as I haven’t done those for years. Thank you 🙂 I hope you’re recovering well and manage to get back on your bike very soon. It sounds like you have some fun plans ahead! I started commuting by bike at the end of 2014 thinking it was the best way to fit exercise into my busy life. I then signed up for a 60mile sportif (London to Oxford) as a challenge. So six months after buying my first bike I found myself with two bikes and I was a member of Sky Velo! Three weeks after buying that second bike (a road bike) and learning the joys of summer riding I decided I wanted to ride across my home country which I’ve been away from here in the UK for nine years. I don’t come from a small country though, I’m Canadian. My partner thought I was joking for a couple weeks then he soon realized I was serious and didn’t want to miss out on the adventure (a cyclist himself) and so said he was up for it (all 6700km/4200 miles of it). Now we are 3 short months away from departure and the outside training is about to ramp up massively. We are as excited as 2 kids counting down until Christmas. Wow, that sounds incredible! I wish you both an amazing trip! I can’t wait to read about it! Lots of luck for your journey.